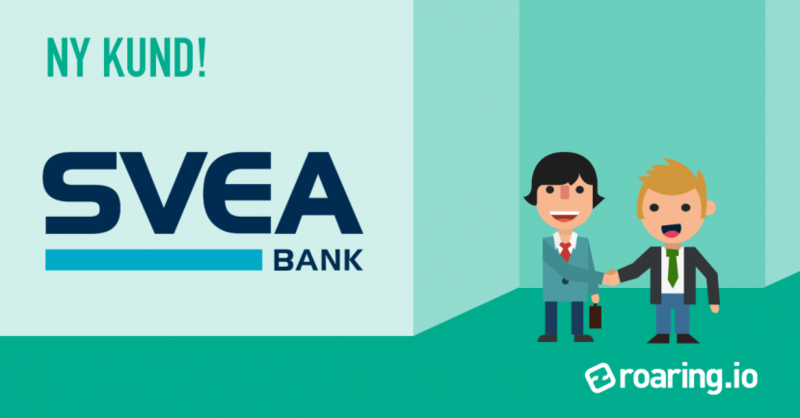 We are happy to welcome Svea Bank as a customer of Roaring! It is exciting to work with an innovative bank where the entrepreneur is in focus. In 1993, they introduced invoice purchases in Sweden and have since then helped many companies grow strong! They offer invoice purchases, corporate loans and corporate accounts etc. Now we will automate and digitize more manual routines; for faster processes and even more satisfied customers!